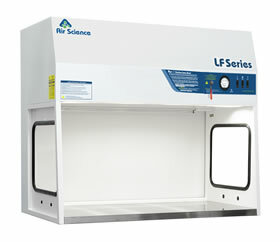 Air Science® Laminar Flow Hoods are designed to protect equipment and other contents of the work zone from particulates, for life science, pharmaceutical, forensic and research applications. We offer a rich set of options to customize flow hoods for flexible access based on your specific needs. Whether you are searching for a high-efficiency cabinet or a compact unit to fit your space, we have an option for you. Select one of our laminar flow cabinet lines above to learn more, or contact us today for a customized quote based on your application.